Tip	Citrus will not ripen further once picked. 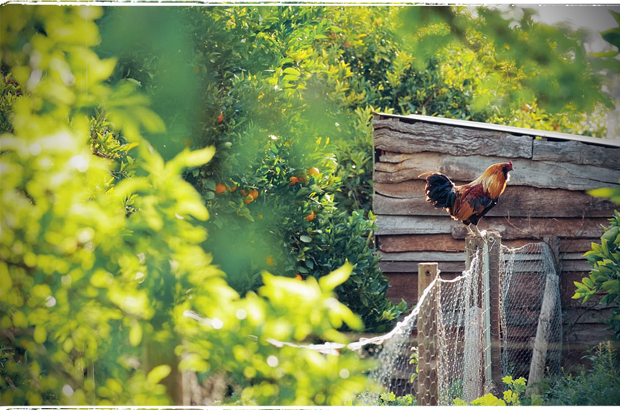 To produce truly fresh and tasty certified organic citrus, while encouraging biodiversity and minimising harmful effects on the environment, Fat Goose Fruits have chosen to embrace more ecologically viable methods of fruit production. Principles of health: organic agriculture should sustain and enhance the health of soil, plant, animal, human and planet as one and indivisible. Principles of ecology: organic agriculture should be based on living ecological systems and cycles, work with them, emulate them and help sustain them. Principles of Fairness: organic agriculture should build on relationships that ensure fairness with regard to the common environment and life opportunities. Principles of Care: organic agriculture should be managed in a precautionary and responsible manner to protect the health and well-being of current and future generations and the environment. Creating a biodiverse landscape is at the forefront of our thinking, which is why we’ve opted to use chemical-free methods of production focused on more natural systems for regulating pests, disease and weeds, and nutrient cycling. The on-ground management and design of our permaculture system is particularly site specific because of the different fruit varieties we grow. Components such as rootstock, tree age, soil types, water needs, climate, habitat and other environmental factors need to be considered to ensure we design the best systems to enhance the productivity, quality and yield of our crops. We welcome any questions you might have about our permaculture design and sustainable agriculture practices, so please feel free to get in touch to find out more.